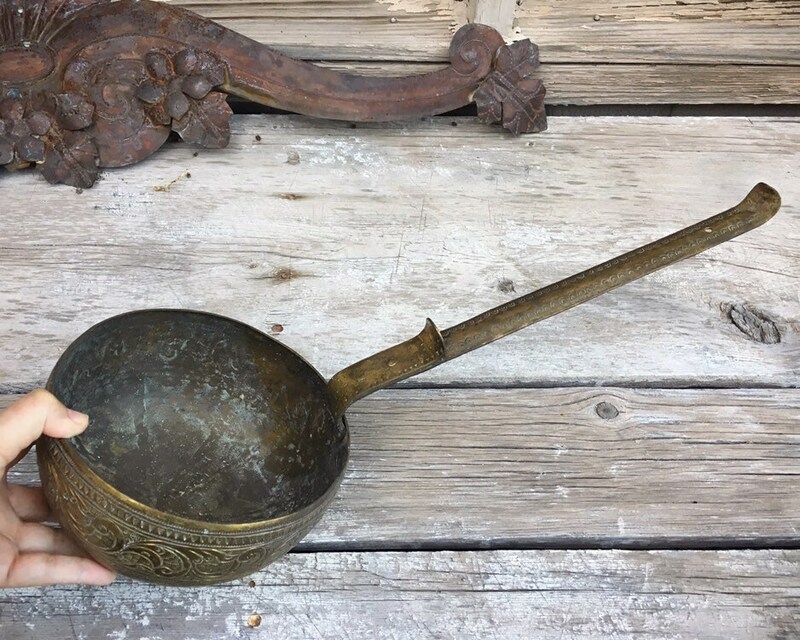 I've seen a lot of large ladles and a lot of brass ladles, yet I've never seen anything quite as substantial as this piece. 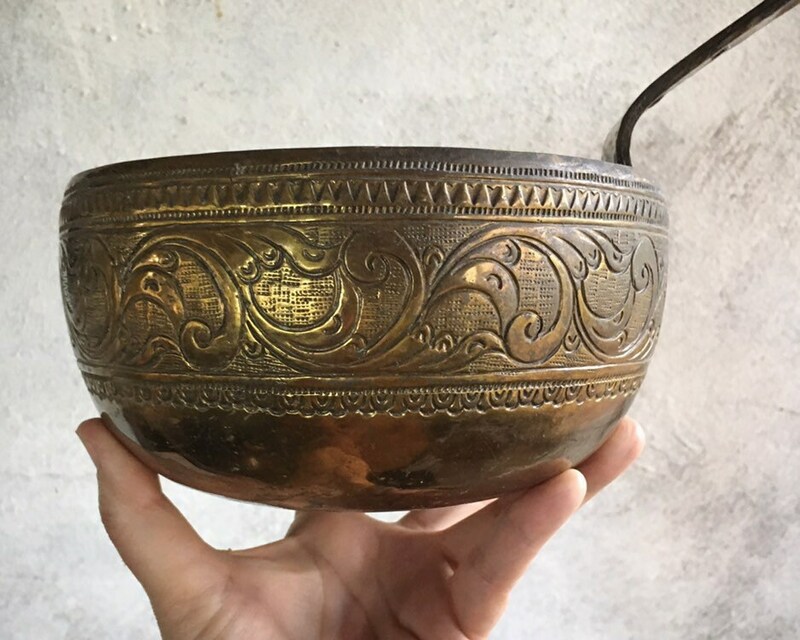 It is large--the "bowl" is especially big--and the hand forged brass has beautiful etchings all along the side. The borders along the top edge are geometric and the main imagery underneath remind of Old World flourishes, and then another border underneath that. 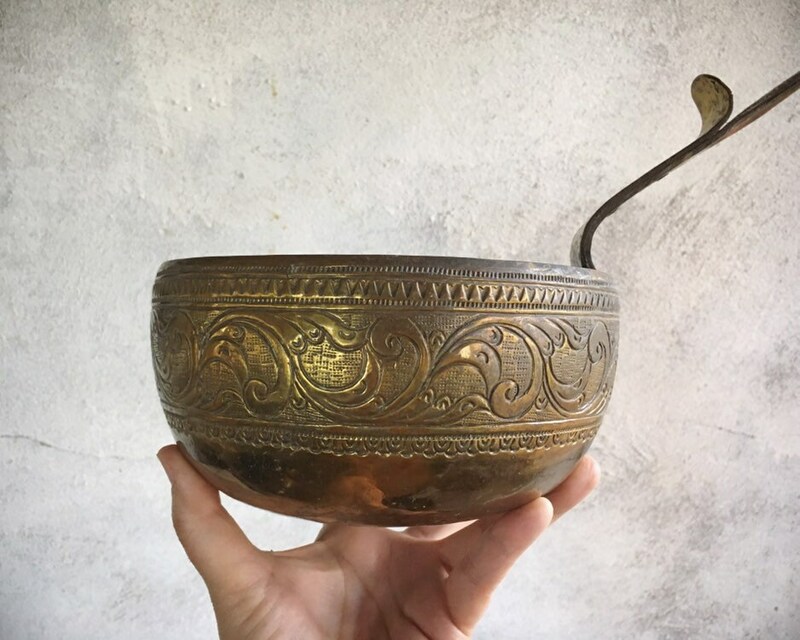 The whole piece is heavy, and especially the part of the handle coming off the bowl, which is reinforced given the bend. The interior is quite worn. This is definitely an older piece, evidenced by the wear. 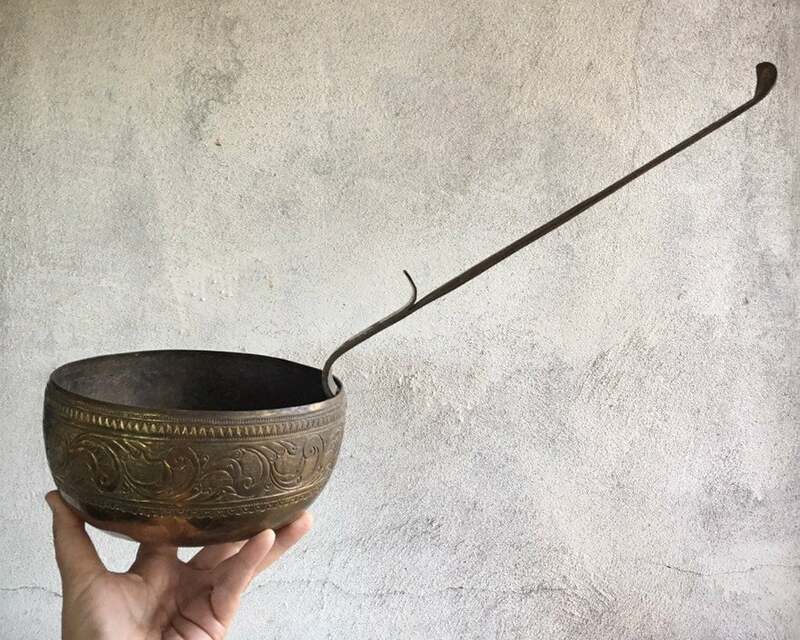 The ladle is a total of about 19" from the tip of the handle to the far edge of the bowl. 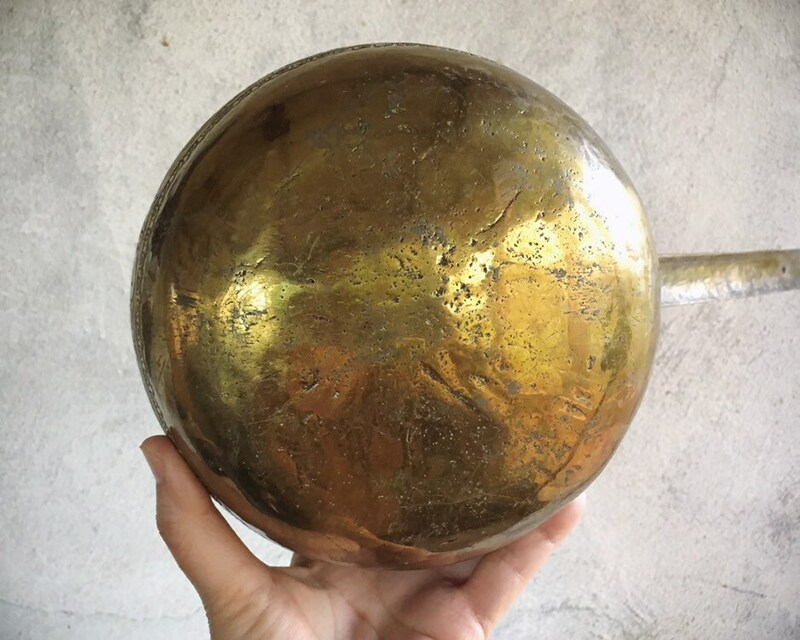 The bowl itself measures 7" in diameter and the handle is 1" wide. Weighs just over two pounds unpacked. Lots of scratches and some rust and other wear. Bohemian beauty for your patio, garden, or home.